Standard PolyPak® is a squeeze seal with a symmetrical profile for use in either rod or piston applications. The Standard PolyPak® is an economical choice as a stand alone rod or piston seal. With less squeeze force than the Deep or Type B profiles, the Standard PolyPak® can be installed back-to-back , in separate glands, for bi-directional sealing. The Type B PolyPak® is a squeeze seal with a symmetrical profile for use in either rod or piston applications. 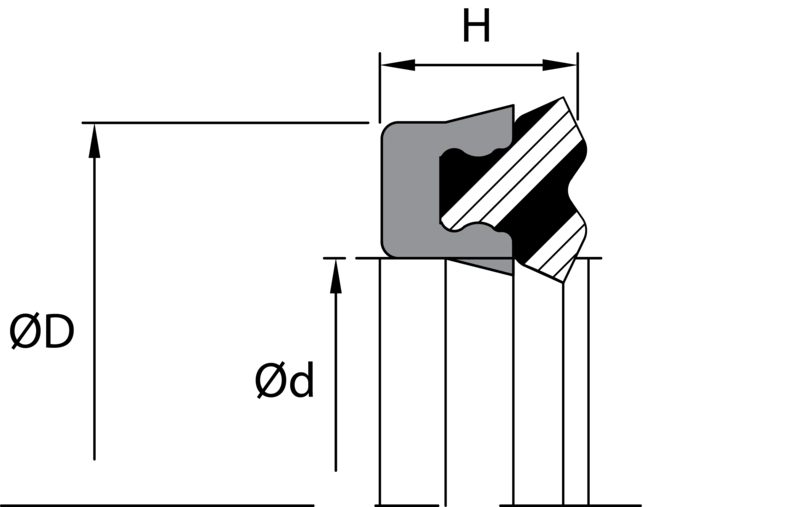 The beveled lip design of the seal is excellent for cutting fluid film and is formed by a precision knife trimming process. the Type B PolyPak® is an economical choice as a standalone seal or can be used in tandem with a buffer seal. In piston applications, this seal should not be intaslled back-to-back in bi-diorectional pressure applications, as a pressure trap between the seals may occur. Spring Loaded Polypaks® use a special metal spring to replace the traditional elastomeric O'Ring expander normally used to provide the requisite seal lip contact. This metal spring provides a lower force to activate the seal lips while eliminating the problem of compression set and loss of force due to fatigue over time. Modular Back-ups , MB profile are specifically designed to complement the PolyPak profiles. MB back-ups can be used with either type of base sealing material while maintaining the expected temperature range and fluid compatibility. The robust design ensures pressure ratings up to 10, 000 PSI are met. ZA-style is a tandem-material. compression-type seal combines the low-pressure sealing ability of the rubber lip with the extrusion resistant heel portion. The lip and heel portions are mechanically held together and offer the benefits of both rubber and polyurethane materials in a compact design. 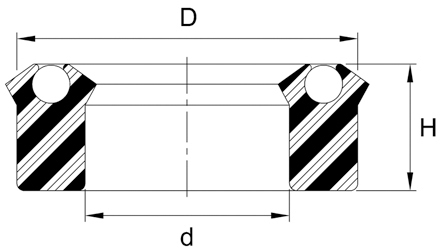 These seals are typically used on rod applications as shown on the chart below. For piston seal application, please contact us for the proper groove dimensions. DZ-style is considered a multiple lip seal. The primary knife-trimmed lip made of rubber offering excellent sealability and wiping action. It is snapped into a hard polyurethane base that offers both extrusion and wear resistance. This profile can be used as a stand alone rod seal. 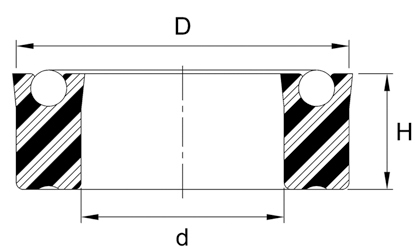 in tandem with a buffer seal or as a unidirectional piston seal. 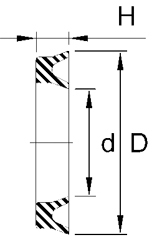 These seals are typically used on rod applications as shown on the chart below. For piston seal application, please contact us for the proper groove dimensions. US profile is a U-Cup type single-acting seal. It can be used separately for singleacting cylinder designs, or in back-to-back usage in separate grooves for double-acting cylinders. Both the static and dynamic sides of the lip area are knife-trimmed, offering maximum sealing force and thus preventing drift. AN6226 Style U-Cup has a square format where the nominal cross section is equal to the height. Although widely used in the fluid power industry for low friction pneumatics, this profile was originally designed for early aircraft and ordnance service. many units still use this type of U-Cup. the AN6226 profile is available in the most popular sizes per Army/Navy [AN] specifications and is made of a standard 70 shore A Nitrile compound. 8400 serie U-Cups are symmetrical lip seal s for use in either rod or piston sealing applications. The thin, flexible lip design reacts to low pressure and provides an extremely smooth , steady movement with less break away force required because of the inherent low friction. This profile is primarily designed for pneumatic applications, it can also be use in low pressure hydraulic applications. 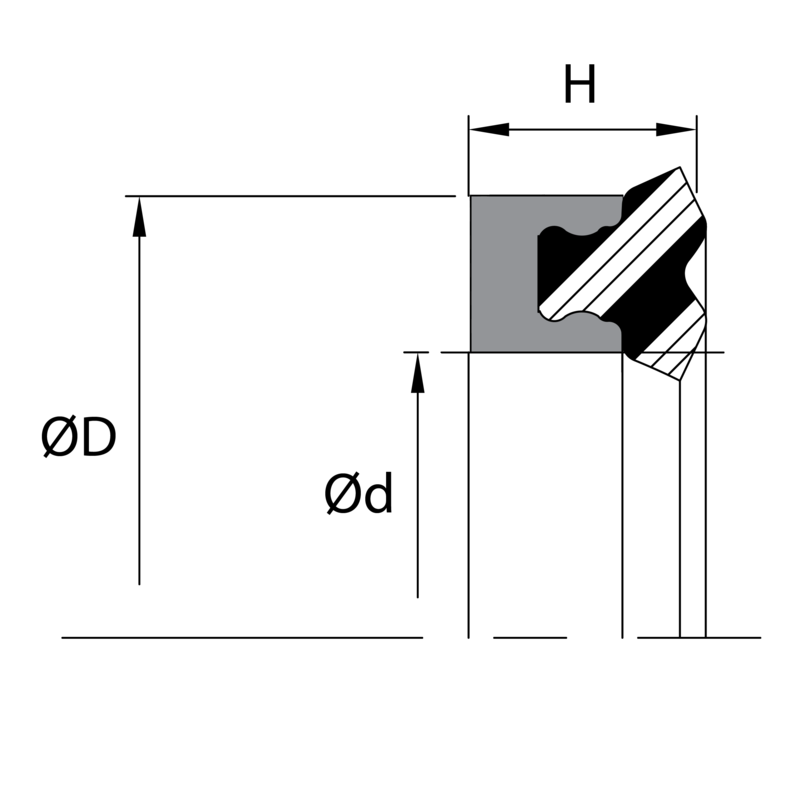 HU-style seals are rectangular in shape for added stability in the groove. Typically made of rubber material, they are designed for general purpose low pressure air and hydraulic use.